“I’ve never been super interested in offering online therapy sessions because I think you’d lose valuable information, such as body language, tone, and pacing.” Turns out, you’re not alone. 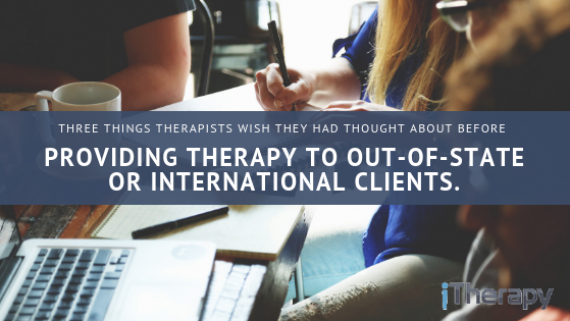 When we asked, “Why would you NOT want to offer online therapy sessions?” 15 out of 30 responses had to do with concerns related to challenges to building rapport with their client through online sessions. 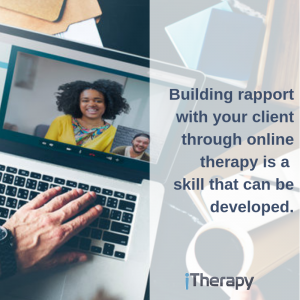 Building rapport with your client via online sessions is a skill that can be developed. 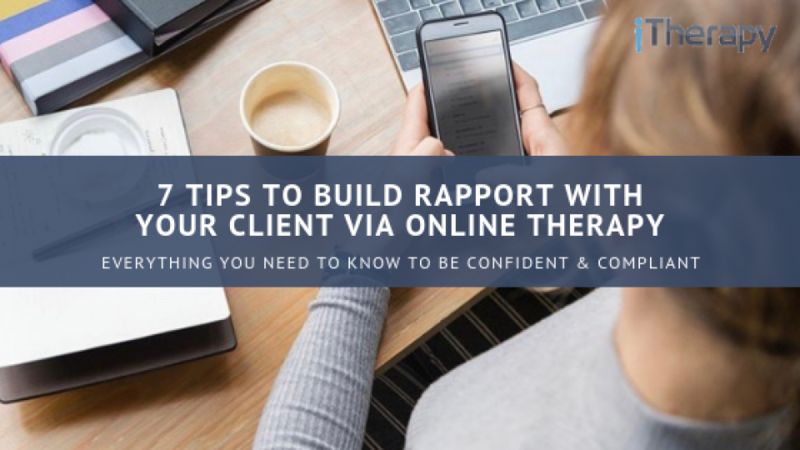 The more comfortable a therapist is with the video platform, the more likely they will be to build rapport with their client. So, ask a few colleagues to let you do a session with them as you get familiar with the platform. Find a blank wall to stand in front of, make sure the fan is turned off, and adjust your lighting (pro tip: stand next to a window, there’s nothing better than natural lighting when you’re on camera). I don’t know about you, but I can’t help but pose throughout my conversations when I can see myself in the video chat. Minimize distractions by minimizing your face so that all your focus can be on your client! Ever put your earbuds in when you really just wanted to escape the noise around you?! Same idea. Minimize distractions and increase your focus by wearing earbuds during your sessions. Not only do earbuds increase connection but they improve the clarity of your voice on the receiving end! I know we’ve been discussing how to create a better connection with your client via video sessions, however, no one wants you up in their face. An easy way to make sure you’re not too close to the camera is to make sure you’ve got some shoulder room in the screen. Sound good? Nothing is worse than a bad connection. Pre-scout wherever you’re gonna set up your tablet to make sure you have strong enough internet. That being said, sometimes WIFI has a mind of its own even when you’ve scouted strong connections, so make a plan with your client about what you will do if you get disconnected: “If we get disconnected try to get back in. If you can’t get back in is it okay if I call you?”. We believe that online therapy is such a powerful tool to living life on your own terms and serving those who otherwise wouldn’t get treatment. 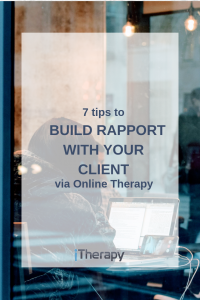 Here’s to you using these seven tips to give online therapy a chance or serve your current clients with MORE excellence! If you’re interested in trying online therapy, but don’t know where to begin schedule a demo with us!